From its earliest days, Sacramento earned a reputation as the Indomitable City. That bold spirit lives on in the visionaries invested in transforming the urban core. In the last decade, over $1 billion in private and public investments were made downtown and that is just the beginning. This is a place where incredible people achieve incredible feats. 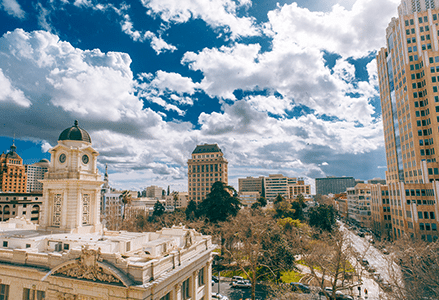 Learn more about Downtown Sacramento’s landscape and meet the personalities that are shaping our future. Arm yourself with the tools, resources and inspiration you need to start a business downtown. Let us help you take your business to the next level with a selection of business tools and services. Sacramento’s urban core is on the rise. Look back at key milestones and look ahead to the development moving Sacramento forward. Our team is committed to making downtown Sacramento a better place to do business. From keeping downtown clean and safe to helping grow your business, we’re here to help. Find out more about our services.